Stamping. Flexibility is a constant. 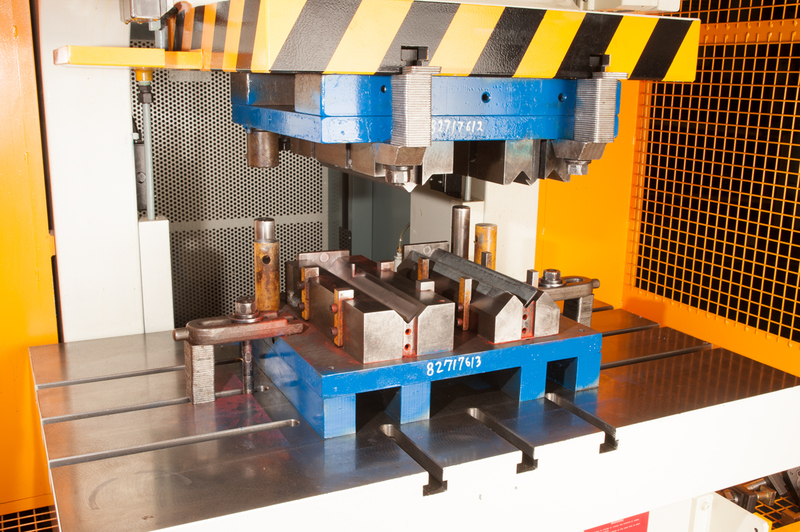 For many applications, stamping is the best single method of manufacturing. 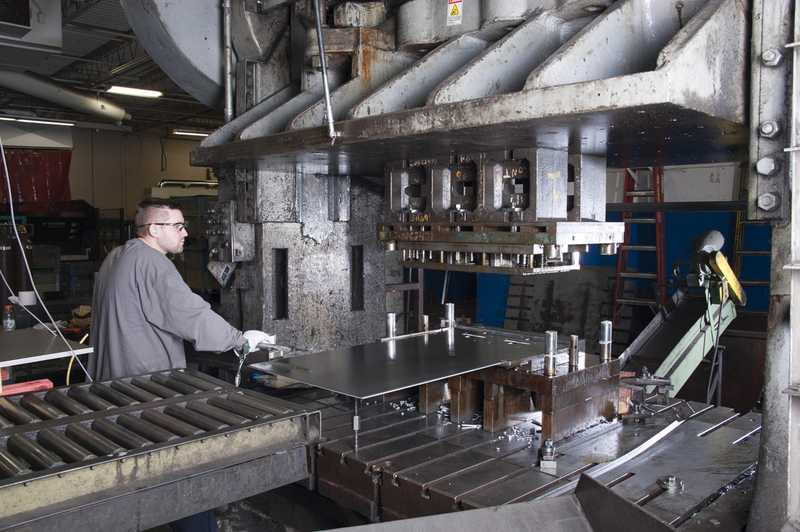 From a small wire clip to a 40-pound bumper to a 14″X60″ hood bezel, we can produce parts competitively in quantities from 100 to 1,000,000; the range of materials includes mild and high strength steel, stainless steel, and aluminum. Hill offers both the capacity and versatility to meet a variety of manufacturing needs. 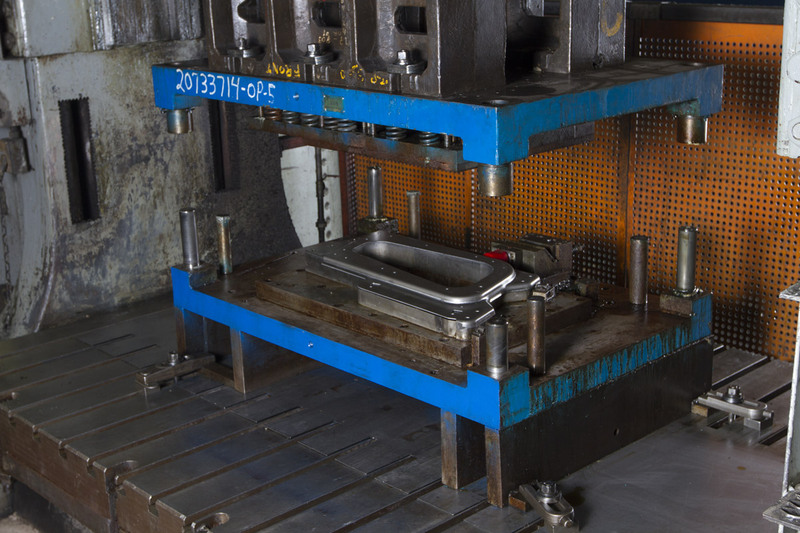 We have more than 25 presses on site with capabilities up to 450 tons with a maximum bed area of 72″X108″. 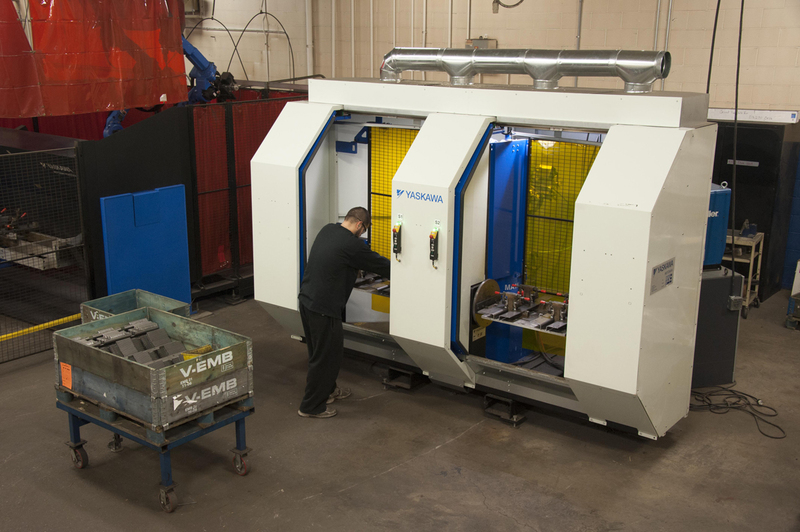 Our equipment can accommodate flat, wide, contour or deep-drawn parts. Fabrication. Doing a lot for a few. Fabrication may be an excellent alternative to short-run stamping. Hill’s experience and CAD/CAM capabilities can make the process economically viable for runs from one to ten thousand with excellent repeatability. 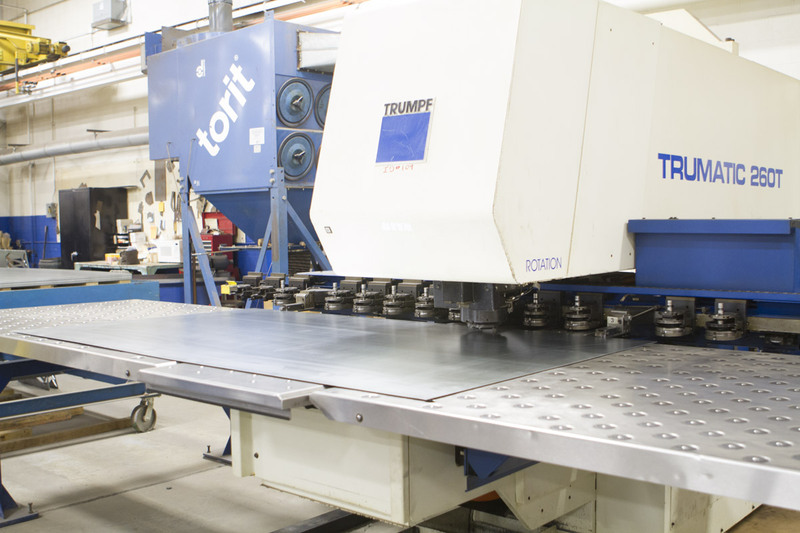 Processes may include the use of Hill’s advanced Trumpf turret punch presses, sophisticated laser cutting center, and CNC forming center that can form parts with multiple bends in a single handling. 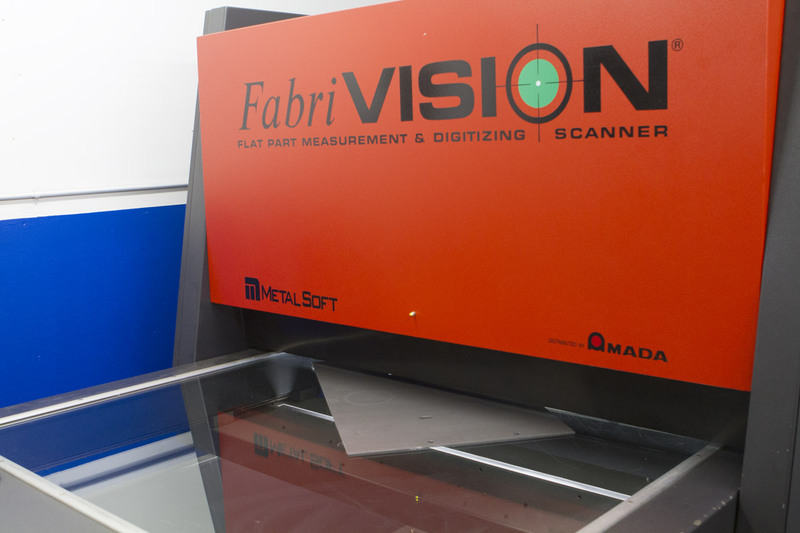 Our Fabrivision (TM) optic inspection systems can automatically compare production or prototype pieces with predefined specifications to assure that we are starting with a good blank. The same system can be used to scan an actual part for which no drawings are available and generate a CAD file from which duplicate parts can be manufactured. Welding and Assembly. Putting it all together. 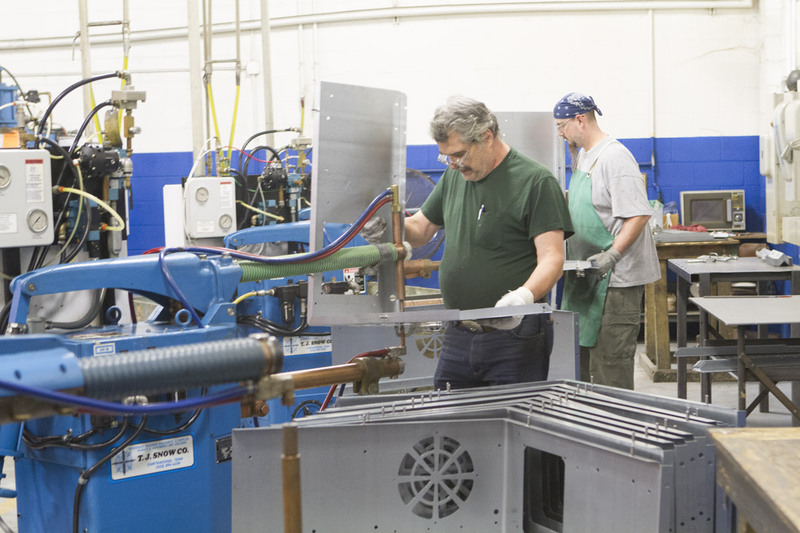 At Hill Manufacturing, you’ll find all the standard technologies: manual, tig, spot (up to 250 kva), seam and production welding. 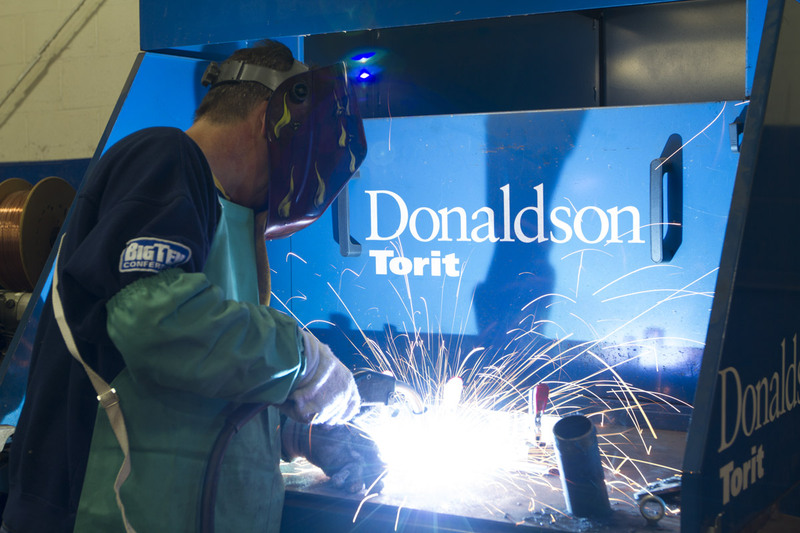 But you’ll also find the most advanced robotic welding capabilities. 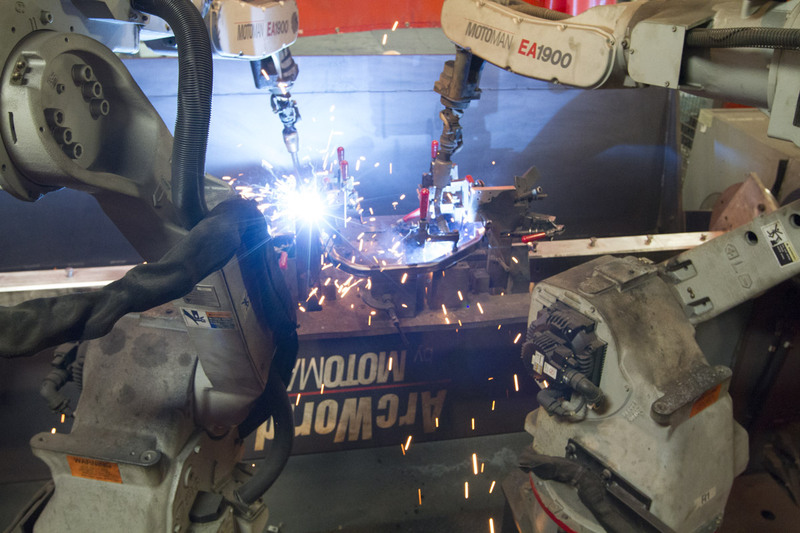 Robotic welders are integrated with motion tables to permit “3-D” welding technology. This system takes unusual shapes and tough corners in stride, permitting preprogrammed welding along a continuous seam. Other assembly needs – such as installation of nuts, bolts, hinges, latches, locks or special appliques – can be specified from a single source: Hill Manufacturing. Our manual and automated finishing capabilities can be tailored to meet your specific needs.